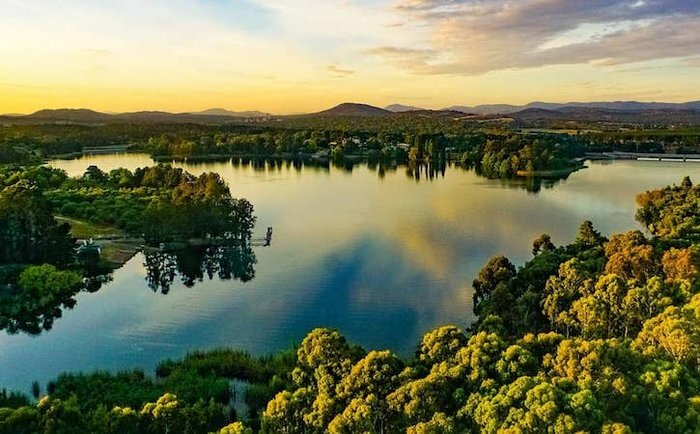 Meet Canberra, the unsung hero of the Land Down Under aka OZ. It is a far cry from the hustle and bustle of Sydney and Melbourne, but this capital city deserves a spot on your Australian itinerary. 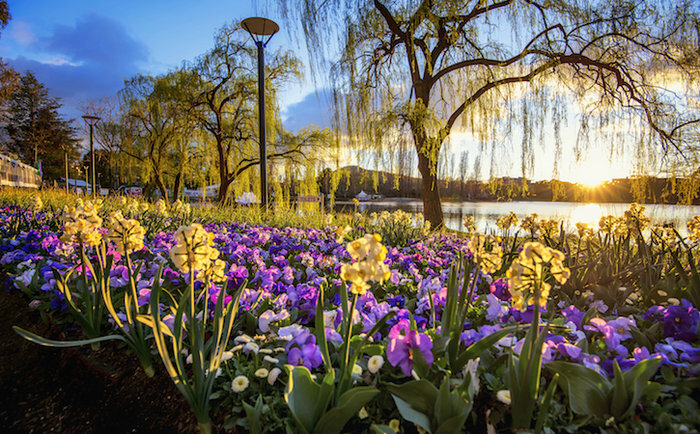 A wholly Australian city, Canberra brings together the elements that make this nation so special – fantastic natural scenery, unique culture, cosmopolitan buzz, and a food scene that will delight and surprise you at every turn. 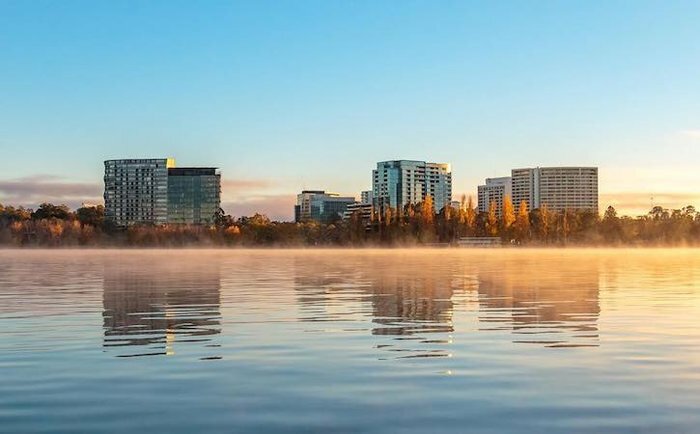 Nicknamed the “Bush Capital,” Canberra was a planned city born from a compromise between Melbourne and Sydney, both of which wanted to be the nation’s capital. Canberra is quickly gaining a reputation for its incredible festivals. 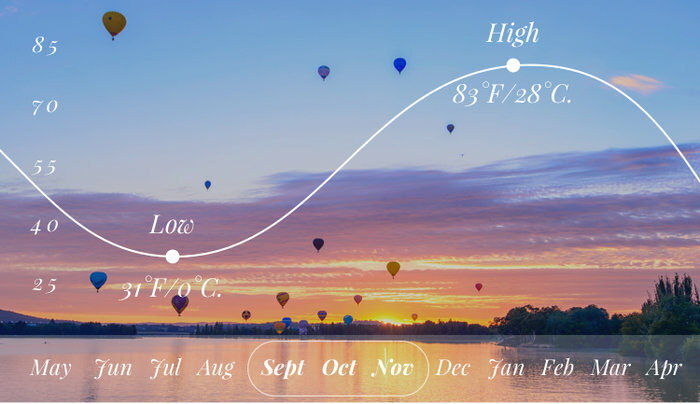 From the flowering buds of the Floriade to the stunning Balloon Spectacular, planning a visit around one of these special events is always a good idea. Also keep in mind that when Parliament is in session, flights and accommodation can be harder to obtain. 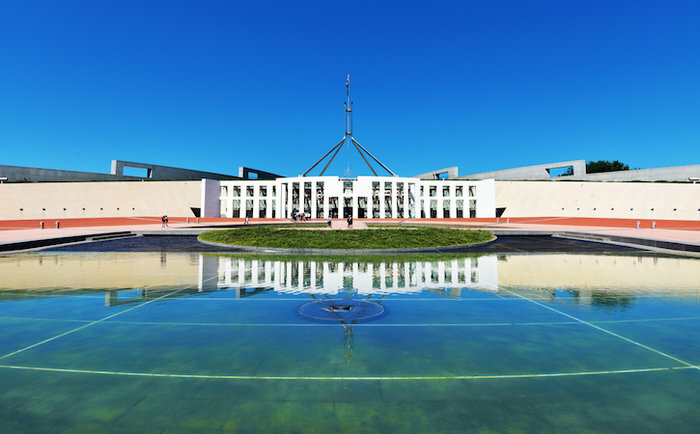 Planned and constructed after Australia was already an established nation, Canberra’s Key attractions reflect not only the past, but the future of this booming country. Stops include the pleasingly symmetrical Parliament Building where representatives meet throughout the year, and the sprawling Australian War Memorial, which is not only visually striking but offers a history lesson on the country’s involvement in international conflicts. For artistic expression, explore the National Museum of Australia, a striking and modern architectural feat set right on the lake. Also worth a look-in is the National Gallery, one of the largest museums in the country. 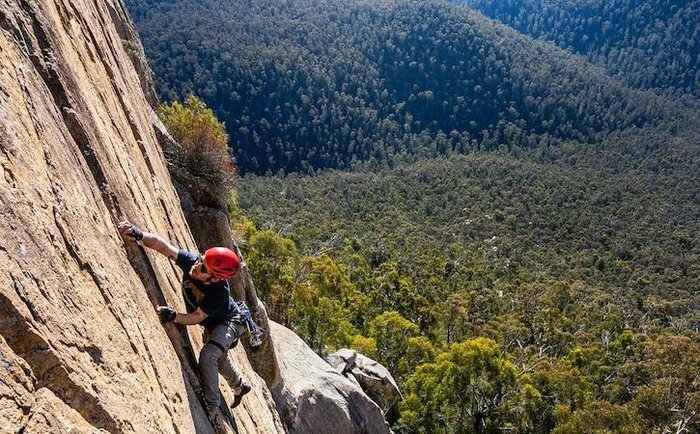 Canberra has all the adrenaline-packed activities you could hope for. Hiking: Head to nearby Mt. Ainslie or Black Mountain for fantastic views of the city. If that’s not enough, hit the road and get waterfall views at Gibraltar Falls or take the more strenuous hike to Booroomba Rocks. Biking: Take a spin on the bike paths circling Lake Burley Griffin, stopping for a bite and a sunset view at one of the waterside restaurants. Wildlife: Visit Tidbinbilla Nature Reserve to catch sight of all the animals that make Australia so alluring: koalas, kangaroos, emus, and more. Horseback: Climb on and meander through the National Arboretum, home to 250 hectares of gardens and forests with unique and endangered tree species. That’s not all, there is lots more. Australia is renowned for its wine, and Canberra is no exception. 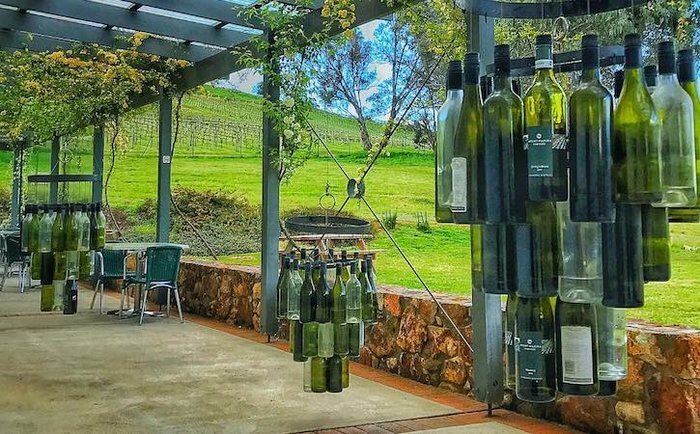 More than 30 wineries live within the Canberra region, from boutique cellars to large vineyards. Take a wine trail tour, or just pick your favorite and spend the day. Mount Majura Vineyard offers overnight glamping yurts if you are not ready to leave. If you are lucky, you might even spot a few curious kangaroos poking around while you sip a glass of Pinot. If wine is not your thing, check out the myriad breweries and distilleries that concoct some of the best beverages down under. Despite being a smaller city, Canberra is home to a bustling metro life. From award-winning coffee shops to outdoor cinemas to a fantastic rugby stadium it iss easy to hang with the locals on their level. Be sure to visit New Acton, home to a fantastic quirky art gallery and cinema. Slip over to Braddon to eat at the food trucks in the Hamlet and visit the Old Bus Depot Markets to peruse the food stalls. Then wander along Lonsdale street searching for the perfect brunch spot. Have a super time when you go!